To keep up with the ever-increasing power of the rival factions in The Division 2, you’ll constantly be leveling up your weapons and gear. However, what you don’t want to do is forget about your Skills, in particular using Skill Mods to up their effectiveness in combat. Here’s how to increase skill power in The Division 2. Skill Power is an important stat in The Division 2 that you’ll need to keep in mind as you develop and improve your character’s stats throughout the game. 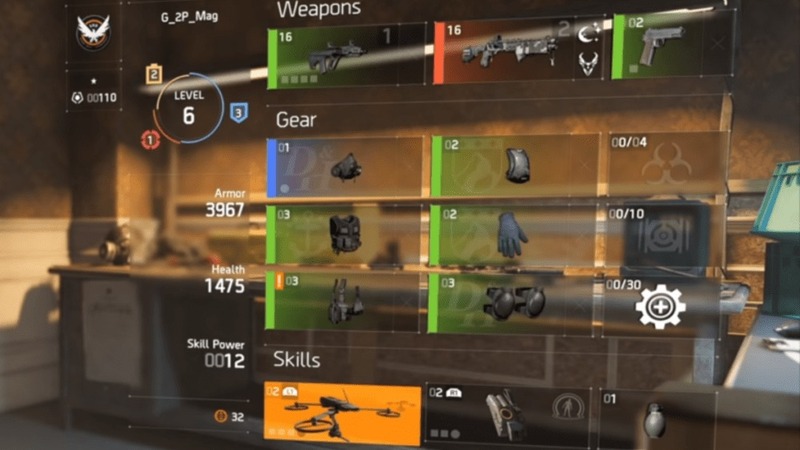 Simply put, Skill Power enables you to start equipping and utilizing various Skill Mods in The Division 2. From our own experience in the game, we began to receive these mods at around level 10-12. As such, if you’ve yet to reach a double-digit level in The Division 2 yet, you won’t have to worry about this just yet. If you’re unable to increase Skill Power in The Division 2, you’re going to severely limit not only the effectiveness of your Skills, but also the various buffs you can equip to them as you play. If you’re struggling to equip a Skill Mod in The Division 2, the first thing you’ll want to do is check your Skill Power to ensure it meets the minimum requirement. To do so, simply press Options on PS4 or Menu on Xbox One, and select the ‘Character’ option from the menu. Over on the left-hand side of the screen, just above your E-Credits balance and below your Armor and Health stats, you’ll find your Skill Power just below. 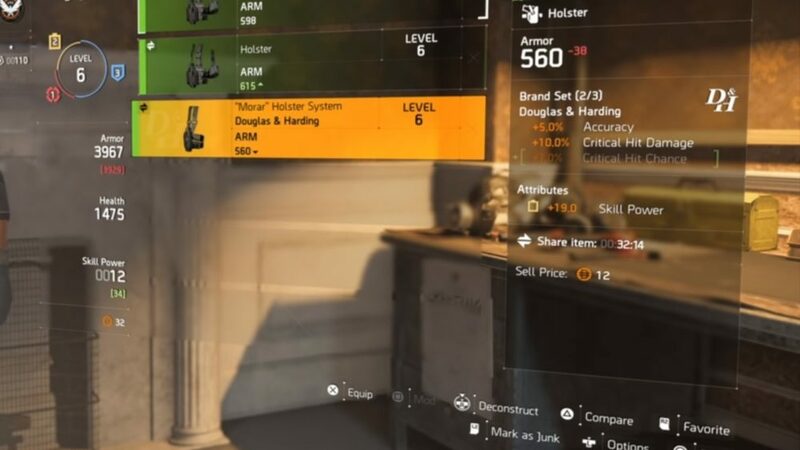 To increase Skill Power in Division 2, you’ll simply want to equip weapons and gear that increase it to your character. As you can see in the screenshot above, some bits of gear have a Skill Power attribute. Simply keep an eye out for these and you’ll be given a healthy boost to your Skill Power shown by the green number underneath your current power level. More often than not, gear with higher rarity will grant you a better Skill Power buff than more common bits. Simply put, though, just check all the gear you’re equipping and you’ll see your Skill Power increasing in no time. That’s all you need to know on how to increase Skill Power in Division 2. For more tips, tricks, and guides, be sure to check out our ever-expanding guide wiki.